The choice of Ms. Crowley for the Treasury's top communications role comes about two years after she withdrew as a candidate for other administration jobs in the face of plagiarism accusations. 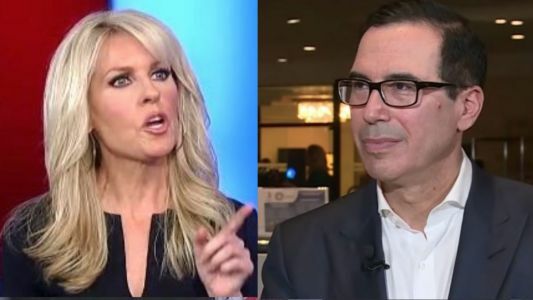 Treasury Secretary Steve Mnuchin is set to hire former Fox News contributor Monica Crowley to his staff, according to a Wednesday report by Bloomberg News. The once-regular primetime contributor on Fox News will join Mnuchin's staff as a spokesperson, replacing another former Fox News contributor, Tony Sayegh , who is reportedly set to leave his position as Assistant Secretary of Public Affairs at the end of May.